We are your local connection for quality pre-owned vehicles or new UTVs and tractors. Our prices are competitively priced for the working man or working woman. 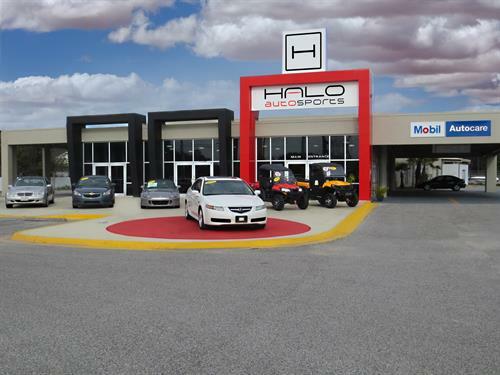 Whether you are planning to buy a pre-owned Used Car, Used Truck or SUV or will be looking in the future, Halo Autosports in Brooksville Florida offers an extensive selection. Visit us today to become another one of our satisfied customers and so we can prove that we are a “No Pressure” company! From our convenient location at 15265 Cortez Blvd Brooksville Florida 34613 we serve Spring Hill, New Port Richey, Wesley Chapel, The Villages, Orlando, Lakeland, Brandon and all of Southern Florida and Western Florida. If you would like to see what people are saying about my dealership please visit our website to read our 5 star reviews!